to receive information on Specials! The Great Smoky Mountains is one of America's most popular vacation destinations. 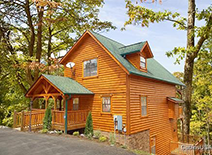 The towns of Gatlinburg, Pigeon Forge, and Sevierville are surrounded by Great Smoky Mountains National Park. The area is for families because of the many things to do not only in the National Park but in area towns, including major attractions, great shopping, fabulous restaurants, and a ski resort for winter time fun. Gatlinburg is home to Ripley's Aquarium of the Smokies. Pigeon Forge is home to Dollywood and Dolly's Splash Country. 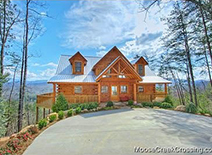 Sevierville is home to numerous music and dinner theatres and excellent outlet malls. Gatlinburg and Pigeon Forge rank among the top honeymoon destinations in the United States. 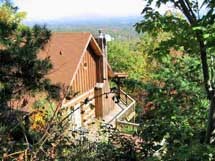 The area is also a favorite location for church retreats and family reunions. 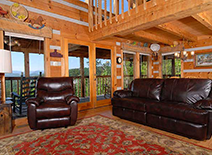 Staying in a Gatlinburg or Pigeon Forge cabin makes your Smoky Mountain Getaway more enjoyable. 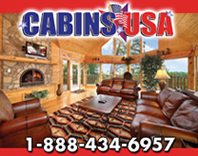 Call us today and find out how the hardest part of your getaway will be going home. © 2011-2017 by Image Builders. All rights reserved.